(91outcomes.com) - During an upcoming meeting of the Congressionally chartered Research Advisory Committee on Gulf War Veterans’ Illnesses (RAC-GWVI) in Boston, medical researchers will present new research findings related to Gulf War Illness (GWI) and chronic pain, brain and nervous system dysfunction and abnormalities, the role of chemical exposures, and a few of the many promising potential treatments for the disorder estimated by the Institute of Medicine to affect more than one in three veterans of the 1991 Gulf War, as well as other U.S. forces. At the same time, the public Committee has agenda items that set the stage for publicly holding VA accountable for a massive, unannounced, two-thirds cut to GWI medical research proposed by VA in its recent budget proposal, and VA foot dragging on a long overdue, first ever GWI medical research strategic plan. An announcement last week that VA's Office of Public Health (OPH) has moved forward with issuing a follow-up survey of Gulf War veterans that failed to include any of an extensive list of recommendations by the Committee is likely to be another sore spot as top OPH officials are on the agenda to make presentations to the Committee. The RAC meetings will be held on the Boston University Medical Center campus on June 18-19, 2012.
Notable GWI medical researchers Dr. Dane Cook of the University of Wisconsin-Madison and Dr. Robert Haley of the University of Texas-Southwestern are scheduled to kick of the two days of public meetings, discussing their research findings related to chronic pain in Gulf War Illness (GWI). Dr. Cook will present his most recent findings in a presentation entitled, "Diffusion Tensor Imaging (DTI) in Gulf War Veterans with Chronic Pain," while Dr. Haley will present, "fMRI reveals abnormal central processing of sensory and pain stimuli in ill Gulf War Veterans." Next on the schedule are presentations related to brain and nervous system abnormalities by Dr. Apostolos Georgopoulos of the Minneapolis VA Medical Center, presenting, "Magnetoencephalography (MEG) imaging Patterns in Gulf War Illness," and Dr. Alvin Terry of the Georgia Health Sciences University, presenting "Functional consequences of repeated organophosphate exposure: potential non-cholinergic mechanisms." Dr. Terry was awarded CDMRP funding in FY11 for an organophosphate-related study and its effects on the myelin sheathing of nerves and transport of nerve signals between the axonal endings of nerve cells. 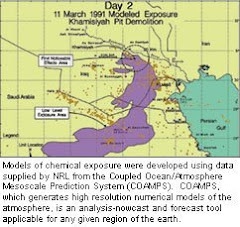 Beginning the first afternoon of the RAC's meetings, Dr. Diane Rohlman of the Oregon Health Sciences University will kick of a series of medical researchers presenting their findings related to chemical exposures in the 1991 Gulf War and their connection to GWI. Dr. Rohlman will present, "Meta-analysis of cognitive effects from Organophosphate exposures." Then, during the RAC's second day of Boston meetings, Dr. Rodney Johnson of the University of Illinois at Urbana-Champaign, presenting, "From inflammation to sickness and Cognitive dysfunction: when the Immune system subjugates the brain." Rounding out the discussion on organophosphate chemicals and their effects on Gulf War veterans later in the day will be Dr. Kimberly Sullivan, presenting her findings from a CDMRP-funded study (FY06), "Structural MRI and Cognitive Correlates in Military Pesticide Personnel from the Gulf War." In between Johnson's and Sullivan's presentations will be three presentations on alternative and complementary medicine as potential treatments to lessen or make more manageable some of GWI's symptoms. Dr. Lisa Conboy of The New England School of Acupuncture, will present her team's initial findings from an FY08 CDMRP-funded study, with, "The effectiveness of acupuncture in the Treatment of Gulf War Illness." Dr. Britta Holzel of the Massachusetts General Hospital and Harvard Medical School will presente, "The effects of mindfulness practice on the neurobiology of pain processing and emotion regulation," and Dr. Chenchen Wang of the Tufts University School of Medicine will present, "A randomized trial of Tai-Chi for fibromyalgia treatment." In addition to the research findings, VA officials will present an update on the Gulf War brain bank, an important effort initially heralded by Gulf War veterans and the RAC that has been inexplicably derailed for several years, as well as an overview of the activities of the VA Office of Public Health (OPH). 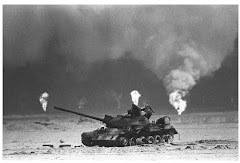 The OPH has come under substantial criticism for ignoring the RAC's critical research recommendations, choosing in a newly publicized national survey of Gulf War veterans to focus on stress issues and failing to incorporate key RAC recommendations. The public will have the last word each day, with open public comment periods scheduled at the end of each day. Including veterans and the public has been a hallmark of the Congressionally chartered RAC since its creation through legislation passed by Congress in 1998 at the urging of Gulf War veterans. Unlike some entities that have received sharp criticism from Gulf War veterans, all portions of the RAC's proceedings are always fully open to the public. (1) FY 2013 Budget Submission, U.S. Department of Veterans Affairs, Volume II: Medical Programs and Information Technology, p. 3A-5.